The MKI can offer motorsport training for organisers, officials and competitors of all levels, with programmes tailored to the individual specifications of your club. When choosing to become partners with the MKI, an organisation benefits through the transfer of the recent knowledge and experience of many of the challenges facing motorsport around the world. The MKI is an active FIA Institute Regional Training Provider and has now completed over twenty international motorsport training projects. Benefitting from the global expertise available within the UAE, the MKI is capable of delivering training in multiple languages, and has previously conducted training in English, Arabic, French, Spanish, Italian and Russian. The motorsport training and development services offered by the MKI are closely matched to the FIA Institute’s Best Practice Framework. The MKI is keen to work with partners of all sizes and experience, and the services that the organisation can provide will be based on what is achievable and sustainable for each partner. Modules: Introduction to Rally Marshalling, Rally Timekeeping, and Rally Communications. Training Team: Ronan Morgan, Tanya Kutsenko, Stuart Murray, Angus Duthie, Andrew Childs, and Samer Sfeir. Training Team: Ronan Morgan, Stuart Murray, Rawan Shukri, Andrew Childs and Marie Hervagault. Training Team: Ronan Morgan, Tanya Kutsenko, Stuart Murray, Angus Duthie and Charles Reynolds. Training team: Ronan Morgan, Tanya Kutsenko, Matthew Norman and Rawan Shukri. Training Team: Ronan Morgan, Tanya Kutsenko, Natalia Sosa Medina and Eoghan O’Grady. Training Team: Ronan Morgan, Natalia Sosa Medina and Tiziano Siviero. Training Team: Ronan Morgan and Charles Reynolds. Modules: Introduction to Motorsport Marshalling, Rally Timekeeping, and Motorsport Communications. Modules: Introduction to Rally Marshalling, Rally Timekeeping, Rally Communications, Rally Organization, and Rally Senior Officials. Training Team: Ronan Morgan, Tanya Kutsenko, Stuart Murray and Dmitry Krivtsov. Modules: Rally Safety and Motorsport Medical Procedures. Modules: Rally Senior Officials, Rally Organisation, Rally Safety, and Technical Procedures. Training Team: Ronan Morgan, Tanya Kutsenko, Stuart Murray and Robert Bryan. Training Team: Ronan Morgan, Tanya Kutsenko and Stuart Murray. Module: Rally Senior Officials, Event Organisation, and Rally Route Preparation. Modules: Introduction to Motorsport, Introduction to Marshalling, and Basic Communications. Training team: Tanya Kutsenko, Matthew Norman, Rawan Shukri, Ahmed Ben Sulayem, Chris Carruthers, and Andrew Childs. Modules: FIA Rally Observers, Managing an ASN, Rally Organisation, and Rally Route Preparation. Training Team: Ronan Morgan and Stuart Murray. Training Team: Ronan Morgan and Tiziano Siviero. Modules: Rally Marshalling, Rally Safety, and Rally Communications. Modules: Introduction to Karting, Officials Safety Training. Modules: Introduction to Karting, Officials Safety and Technical Procedures. Training Team: Matthew Norman, Tanya Kutsenko, Chris Carruthers and Dmitry Krivtsov. 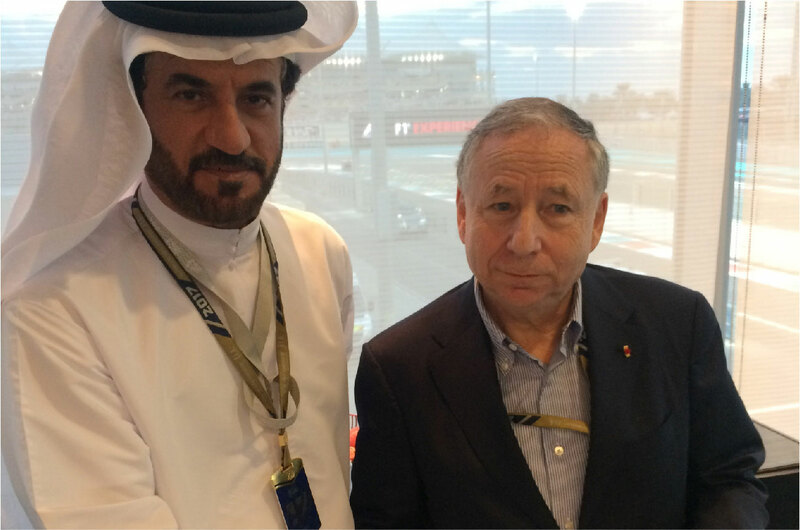 ATCUAE is looking after 140+ motorsport events which take place in the United Arab Emirates. MKI senior trainers deliver a wide range of officials safety training programs in order to deliver these events in safe and professional manner. In 2008 we have established UAE Motorsport Marshals Club to recruit, train and retain the officials for Formula 1 Abu Dhabi Grand Prix. It remains the biggest sporting and motorsport event of the UAE and its success depends on highly qualified volunteer motorsport officials. Currently we have more than 1300 trained volunteers and officials across various specialty areas. We are experienced in working with different nationalities (over 60) and we have succeed in making all our members work as one team for various events across different disciplines of motorsport.